Making OSSM a home away from home..
Dr. Wang brings a late night surprise! 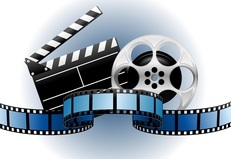 What goes into making OSSM a home away from home? Let's start with the very special Residence Life Coordinator, Valerie Hiett, who has made it her mission to provide a variety of fun experiences for the students on weekends when they don't go home. It is Residence Hall floor leaders who keep the peace and do their best to create a warm and comfortable floor environment. What about Cleveland Bell and his Valley Services crew who work hard to provide great comfort foods and go out of their way to host special themed meals. 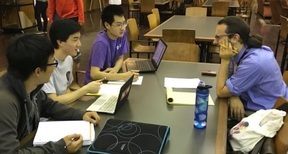 Then we have the many professors who dedicate many nights for additional study time and help. 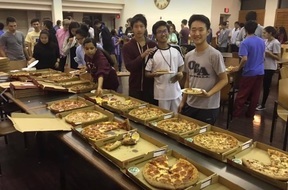 Of course we cannot forget about Dr. Wang who pops in to surprise the students with late night snacks from pizza to the fan favorite, donuts and milk. He also is always offering to cart students to church on Sundays to join the Wang family at Life church. And of course we cannot leave out PAOSSM and the Alumni who are always stepping in to help wherever they can. All of these fine examples contribute to the home away from home environment we provide at OSSM. Another fine example of The OSSM Difference. Study time with Prof. Chance. Professor Mark Li took some of his students from his Human Anatomy and Physiology classes and stopped by OUHSC last week for a unique hands-on learning experience of the human body - which was being dissected. From what I heard, nobody passed out. 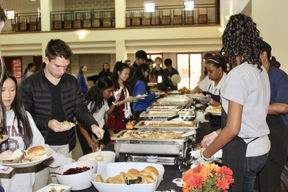 Cleveland Bell and his incredible Valley team prepared an outstanding Thanksgiving lunch on Thursday, November 15th. They did not miss a thing, and they surprised everyone with a delicious array of desserts. One of the favorites was bread pudding. Nice start to a fine Fall Break. Assistant P.E. instructor Hannah Henley recently returned from a trip to Iceland - so when she says the 2018 Fall Riversport Youth League Regatta was “bitterly cold,” she should know. Last Saturday nine members of the OSSM crew competed against five other schools under the lights on the Oklahoma River. OSSM finished fifth and missed the Grand Final by 1 second. Coach Henley said the crew had their “best pass of the season” that consisted of a handful of practices with a full crew. “I could see their progress,” said Henley. The event was the coldest on record for the Riversport Youth League Regatta. To stay warm, the crew rowed on ergometers between group pictures, meetings, a cookout and middle school races. Some of the crew were invited to join other rowers and form a composite crew coxed by Kristine Nguyen. This “exhibition” boat finished in first place. 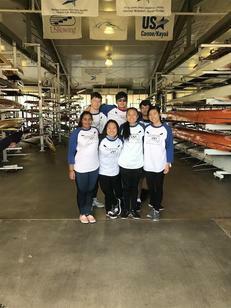 Fall season crew members included coxswain Kristine Nguyen, Jack MacKay, Mulan Tang, Adhya Kumar, Jenny Nguyen, Tristan Jibben, David Stafanoff, Max Ibarra and Cindy Li. 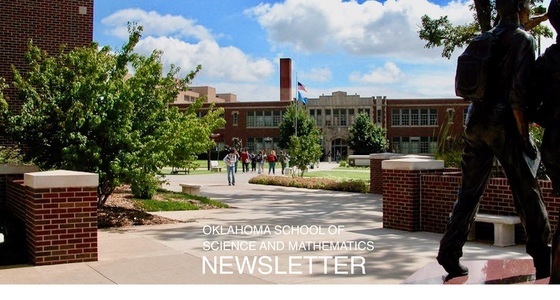 The Perry Outreach Program will be Saturday, January 12, 2019 at the Oklahoma School of Science and Mathematics in Oklahoma City, OK. The Perry Outreach Program is a free, one-day, hands-on experience for high school women who are interested in pursuing careers in medicine and engineering. 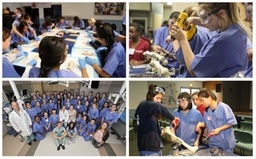 Students will hear from women leaders in these fields and try it for themselves by performing mock orthopaedic surgeries and biomechanics experiments. December 12, 2018 application deadline. On November 7, OSSM welcomed Dr. Eric Sherburn as the guest speaker at Wednesday Assembly. Dr. Sherburn is the Director for the Center for Concussion at OU-TU School of Community Medicine. 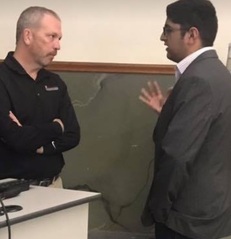 He spoke on his research work relating to concussions and told various stories and presented interesting film on NFL football players. Students asked great questions and Dr. Sherburn said he was currently working on protocol for return to learn and return to play for schools in Oklahoma.